Growth is the lifeblood of a young Internet company. And every startup wants to crack the code of getting big, fast. But for some, growth hacking — the philosophy of scaling a company quickly through data-driven product decisions — can involve playing around in the gray area of what’s acceptable. 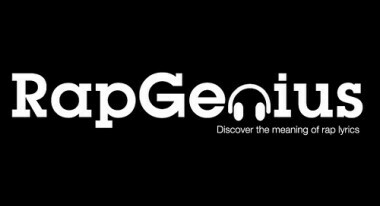 The latest case in point: RapGenius, the lyrics annotation website, was caught this week in a spammy search-engine optimization marketing scheme, essentially trading traffic-driving tweets for links on third-party sites. Google found out about the practice, and RapGenius has suddenly plummeted in its search rankings on Google. But this seems to miss the big picture. The question is, do short-term gains made by any means necessary ultimately pay off in the long run? RapGenius’ Quantcast rankings, which plummeted after Google’s purported intervention. It depends on whom you ask. Hospitality startup Airbnb hacked its way to early growth success by exploiting loopholes on Craigslist. LinkedIn leaned heavily on importing user address books, which supplied email contacts for user acquisition. And Facebook made many early strategic overseas acquisitions, the technology of which aided in the acquisition of user email addresses. All three have benefited massively from those practices. Others have seen less success. Path reportedly spent millions on a growth push that shot it to the top of the App Store ranks, only to sink to the bottom in the months that followed. Startups like Unroll.me sent out waves of email invites to users’ entire address books, often souring first-timers on the service. Even Twitter’s early growth tactics have not performed as well as possible; the company has striven to figure out how to stymie its serious user churn problem. The greater point in all of this: Some companies have played the short-game and hit it big, while others have struck out hard and fast early on. But fast and loose growth hacks such as these aren’t sustainable for long-term growth and, perhaps more importantly, retention. And ultimately these companies figure out better ways to keep users happy. It’s not entirely fair to beat up on RapGenius alone. One friend of mine called it the “least sleazy” lyrics source on the Web. And it’s likely taking more public knocks than competitors because of its Andreessen Horowitz pedigree and the founders’ occasionally boorish public behavior (which always seems to make headlines). If nothing else, let this serve as a cautionary tale to other would-be growth hackers in startupland. (The Quantcast snapshot above shows just how fast RapGenius tanked in page views after incurring Google’s ire.) As one very smart friend put it to me, solving your company’s growth problem is rather different than working to solve your users’ problems. In other words: Growth hacking — however you end up defining it — may actually work. But focusing on what users actually want is probably a better idea for the long haul.